Browse Kubo Tite Gallery: Recent | Popular. Sweet. I didn't know Kubo Tite did a special illustration as well. xDDDTite kubooO! ?? o_O! wait orochimaru looks like noitora! xD thanks for sharing! Quote by KiaRatTxDDDTite kubooO! ?? o_O! wait orochimaru looks like noitora! xD thanks for sharing! Quote by ortansaAmano Akira did nothing? Quote by angelpup1419Sweet. I didn't know Kubo Tite did a special illustration as well. Neither did I. Looks really cool. Pretty surreal imho to see Naruto drawn by the creator of Bleach, essentially the 2 biggest series right now. Awesome! I'm so glad to see all the mangaka's doing Naruto in their own style. THIS IS SO COOOL! 0.0 Thanks a bunch!
? ???? ??? ???????? ???????? ????? Awesome ! XD Thanks for sharing. 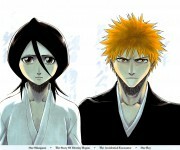 Tite Kubo es grande! gracias por el scan, es maravilloso, esto no lo habia visto. Wow...Naruto looks amazing in his Kubo Tite's style. Naruto looks like Ichigo, but Orochimaru is real good. Wauw. 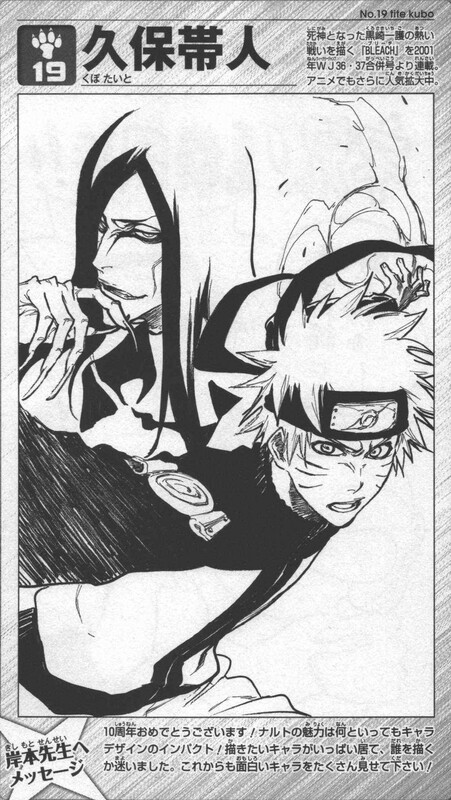 I assume Tite Kubo drew Masashi Kishimoto's characters Orochimaru and Naruto? It's really interesting to see how other (great) mangaka's would draw others characters. Naruto looks a lot more attractive in this picture and Orochimaru a complete creeper. It's really well done, deff going to be one of my favorites. Orochimaru looks like a BLEACH character ._.